Who would like a One-week Vacation Bible School? Reaching Out to Families in the City of Philadelphia and Beyond! 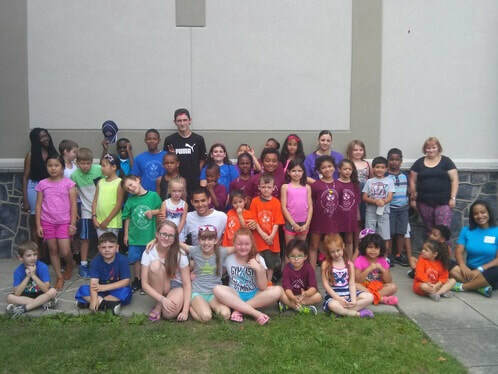 City Camp is an urban day camp adventure connecting parishes of the Diocese of Pennsylvania to families in their local communities. Through creative and innovative activities and programs, children and youth build community and encounter the Gospel through games, songs, storytelling, and more. At City Camp, students participate in many different activities. Reading, math, and science activities allow students to practice critical skills that lead to academic success. Art, music, and other creative activities provide students the opportunity to use their imaginations and explore their creative side. Campers hear the Gospel through daily Bible lessons and chapel services. All of this, along with off-site trips and other activities, provide students around the Philadelphia area a summer they will never forget! In 2018, we expanded City Camp to serve one-week Vacation Bible Schools in all communities of the Diocese. If your parish wants to offer Vacation Bible School and you need staff and programming, or just staff, we are able to serve your parish and community. Please reserve your week for 2019 as soon as possible. Contact us here. City Camp will continue to be a summer day camp program for parishes located in the under-resourced communities in the Diocese. In 2017 there were three multi-week camps located at parishes in under-resourced sections of the city: Camp St. Simon in South Philly, Camp St. Gabriel’s in Feltonville and Camp St. Luke’s in East Germantown. We are excited that St. Mary’s in Chester expanded to a two-week camp in 2018. 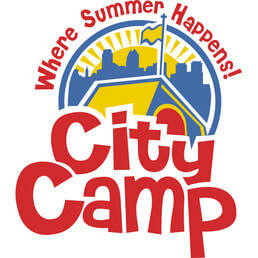 If your parish is able to sponsor a week of City Camp or Vacation Bible School, please email us at diopayouth.org.